When I went to visit my friend in Boston in July, her mom let me go through her giant stash of old craft magazines that she had bought at a yard sale. I loved looking through all of the old issues. She let me pick out a few and take them home with me. I mostly went for the 60s issues, but the 70s ones are pretty entertaining, too. The notes are from the original owner. Some of the projects are actually kind of cute, but most of them are not. I rather enjoy going through them and laughing at the ugly projects, but I thought you might find the attractive ones more interesting and less frightening. Some of the projects were kind of terrifying like weird clown dolls. Mostly I like looking at the ads. Some of them are very well done and some are so dated that they’re a little horrifying like the ads for diet plans. And since I’m very juvenile at heart, I’m always amused by the number of ads for adult diapers in these things. Half of the small ads in the back are for them! That ad for the invisible zipper is pretty cute. I love that the tag line rhymes. Looks like a seam, zips like a dream. 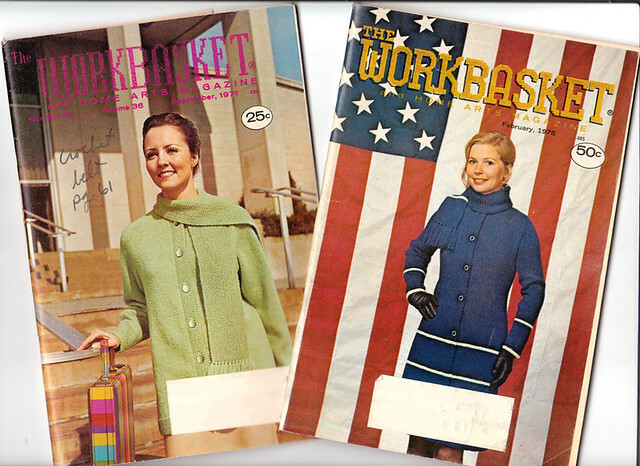 I have a few old Workbaskets and one knit&crochet magazine from the 70s which is frightening beyond all reason! There are one or two cute dresses, but mostly it’s a nightmare of loopy mesh pants(!!!) and bizarro vests. It generally makes me feel better about some of my less-great fashion moments. I think that peachy scallop neck sweater is lovely — though maybe better in a color that doesn’t eerily match the model’s skin. 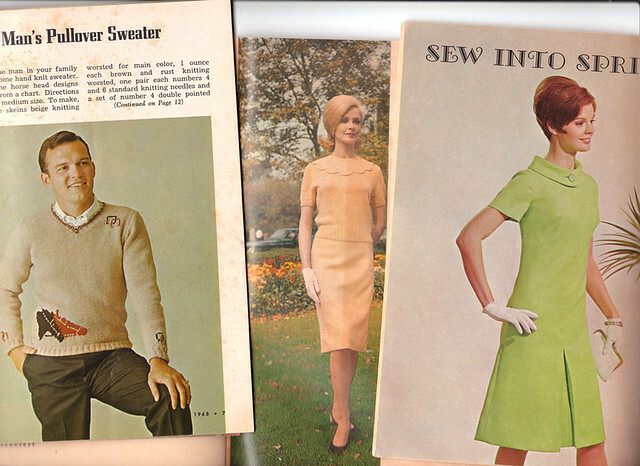 I wonder what people 50 years from now will say about our issues of Interweave Knits and Vogue knitting? I have some very dated Crochet ones that my dad used to own as he used to crochet, they actually have a few patterns in them that i would crochet. Despite the stereotypes, a lot of the more attractive projects in the magazines I went through were crocheted. 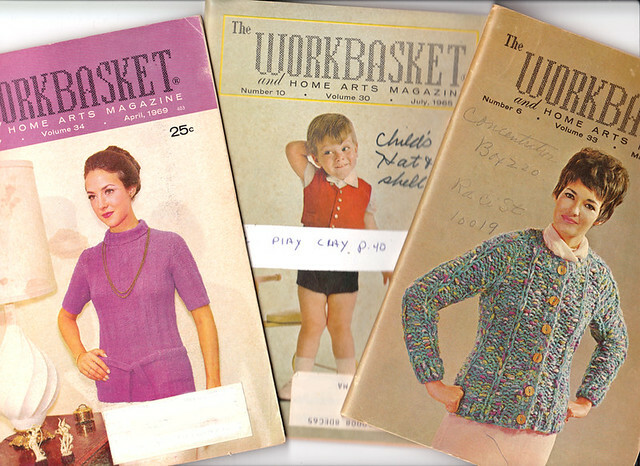 There is definitely a bizarre clown era in needlework magazines from the ’60s through the mid-’80s. Thanks for sparing us the creepy images and picking out the lovely stuff. I agree, the ads are often the best part of old magazines. They’re like little time capsules. The green dress on the right is so cute! The bikini would be cute too, if it weren’t flesh toned (shudder).